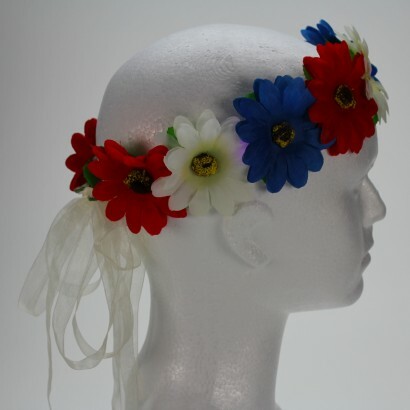 Whether you're a flower girl or a party princess, this beautiful flower halo will finish your look with over sized flowers and enchanting light! 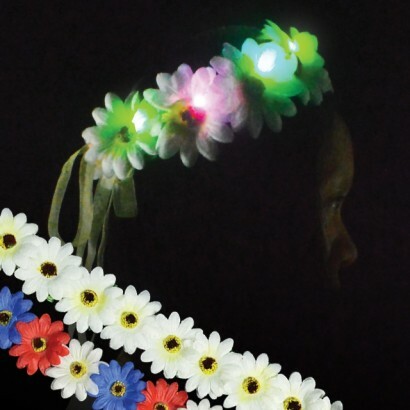 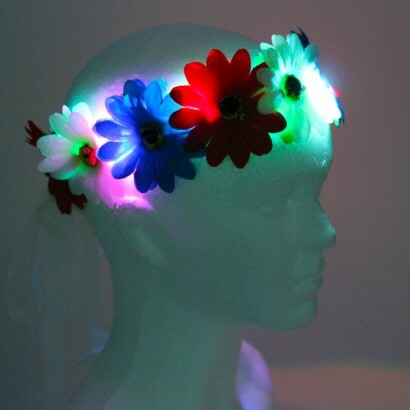 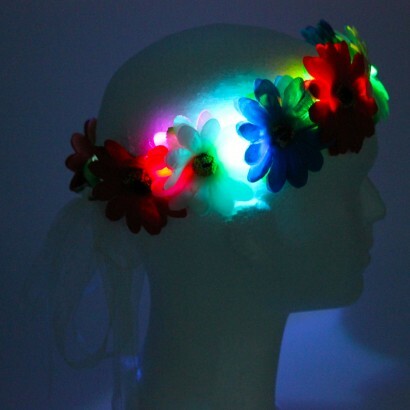 A daisy chain of nine large flowers make a stylish headband, each lit with a bright LED for a magical glow. 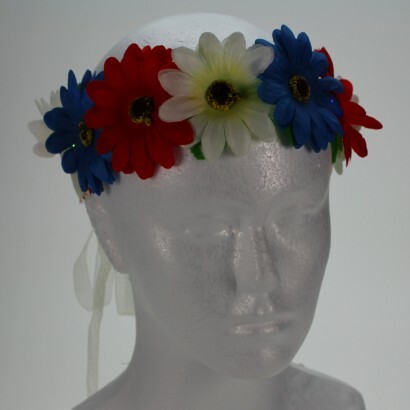 Available in all white or red, white and blue, these hippy chic headbands are made with an elasticated band making them suitable for kids and grown ups alike and their discreet battery packs come with batteries included so that you're ready to go!